Deadly tiger shark stalks stranded diver? Turns out that a spearfisherman got separated from his boat and had to swim back 4 miles to shore. 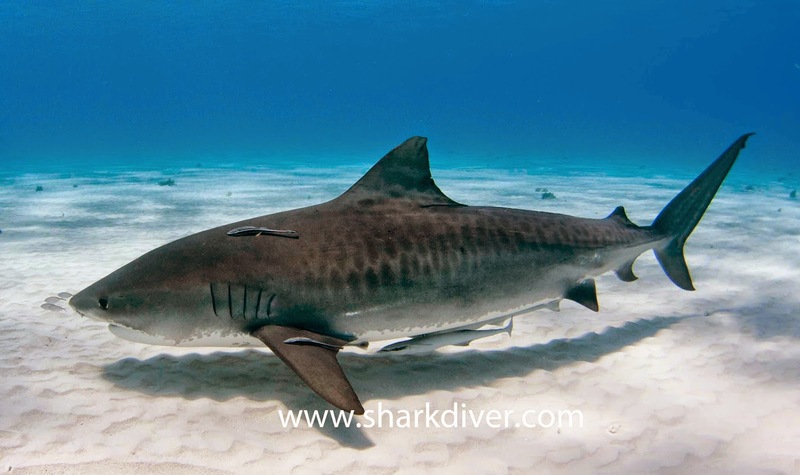 What they describe as “A diver who became separated from his boat has said he is lucky to be alive after swimming miles back to shore while being stalked by a large tiger shark.” and “He swam…in shark-infested waters. I just can’t believe anybody could do that. It’s such a massive effort.”, was in reality just a really long swim, where he encountered a couple of sharks. That “deadly” shark was just checking him out and the diver even says that “For about 500 metres the shark swam on the same path as me towards the shore and then in a moment banked and disappeared completely as if to say ‘you’re OK now, I’ll leave you alone’. So the real danger to the diver were not the sharks, but the fact that he had to swim for 4 miles to reach shore. Maybe a headline that says “Diver lost at sea has to swim 4 miles to reach shore” or something similar would be more appropriate than making the sharks out to be those mindless killers again, would be more appropriate. We dive with Tiger Sharks in various places around the world and learned that we have to respect them, but there is no need to fear them. They are neither mindless killers, nor harmless pets, but awesome predators that are curious, but in most cases not interested in attacking us. 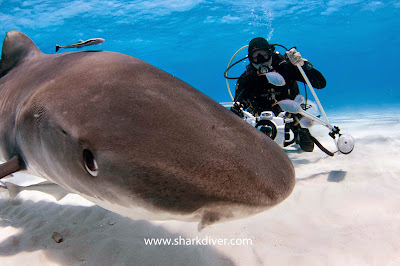 By Shark DiverDeadly shark, sky news, swimming with sharksComments Off on Deadly tiger shark stalks stranded diver?